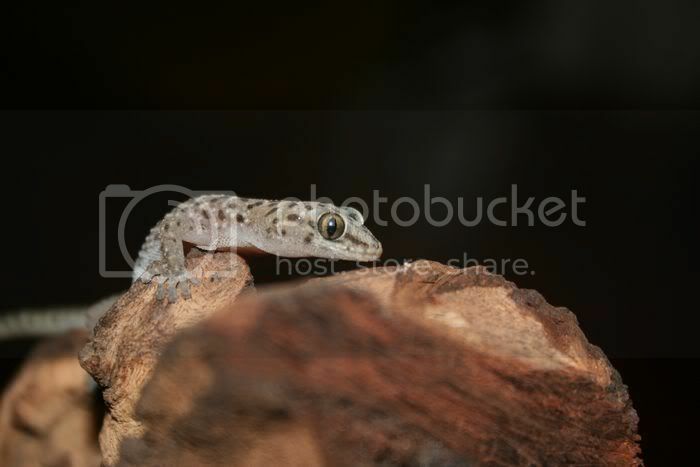 SAReptiles • View topic - gecko on lesotho border...any ID? gecko on lesotho border...any ID? WHile i found this girl right on the northern border of lesotho...was on a house wall. Only 1 found tho.... Had an idea as to what it was...but now that i am home and can check the field guide the distribution maps don't agree...plus does not look like anything else really. Any idea...? I can't seem to id it, looks like a tropical house gecko with spots . On first glance a Transvaal thick toe mate. You know the drill (SARCA). Tail and colour aint right...lets wait and see..lekka one. I did some extensive research , it is definitely a Gecko. Whatever it is, it's lovely! I first thought one of the Pachydactylus capensis/affinis group but with the current response i am not sure. It can't be P. tigrinis though (way out of range and habitat). 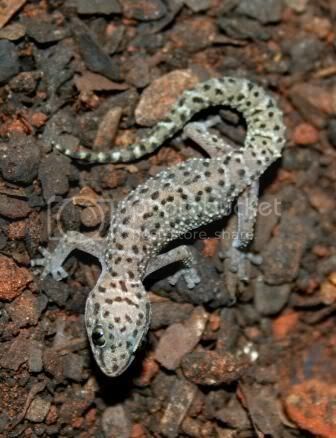 It wont be a tropical house gecko (Hemidactylus) though. Same thing came to mind...but i'm pretty sure its P.capensis. The head looks very flat with bulging eyes and that does not look like capensis to me. I agree with Natal black. Post it on SARCA and then when they let you know you can put us out of our misery. thought pachydactylus tigrinus first when found....then trying to remember distribution got smacked in the face. Then thought affinis....but also outta range! i am stumped... i really really doubt it is capensis, but who knows eh. I wouldnt be worried too much about the range mate. E.g P.Affinis are often seen around the house (B.Branch), and I can imagine that when people move they might hitch a ride in cubboards etc. The best things come to those who flip rocks.